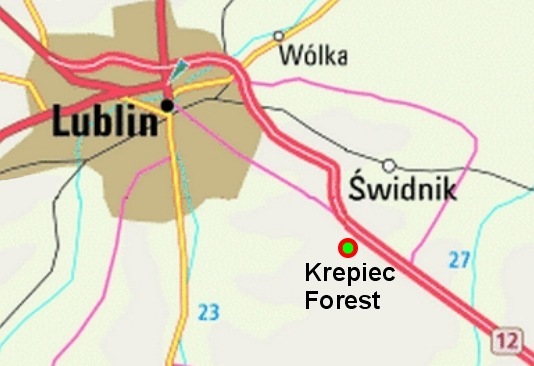 Krepiec forest is located 11 km from Lublin, close to the main road connecting Lublin with Zamosc and Chelm. During the Nazi occupation it was one of the largest mass execution sites in the Lublin district. On 3 May 1940 the first execution took place there. 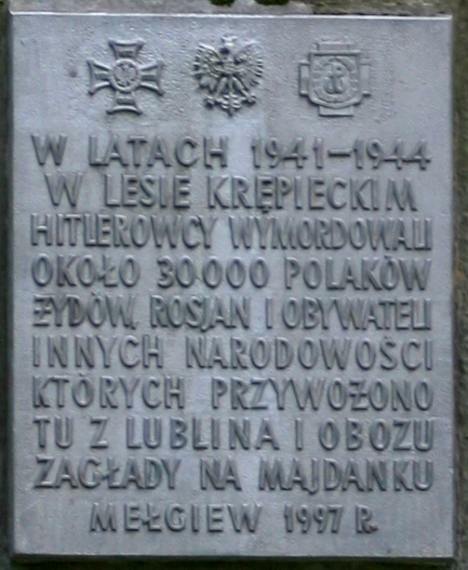 A group of Polish and Jewish hostages was executed in Krepiec in revenge for the assassination of a functionary of the Lublin SD, SS-Hauptsturmführer Loska. Another group of Polish and Jewish prisoners, taken from the Gestapo prison "Castle" in Lublin, was probably executed in Krepiec in 1941. 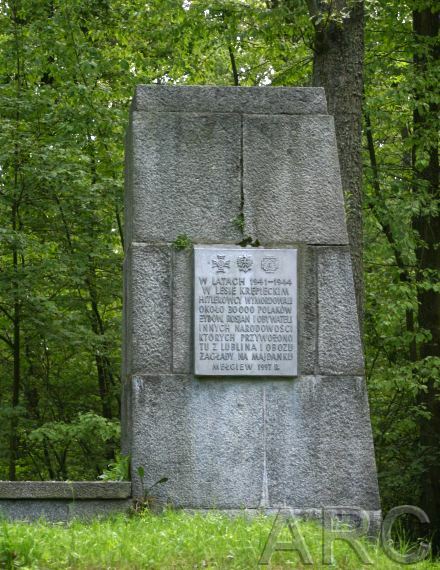 After the war, witnesses from Krepiec village related that Catholic priests and nuns were among the victims of some early executions in Krepiec forest. The exact number of the victims of these first executions is not known and detailed sources about these murders do not exist. 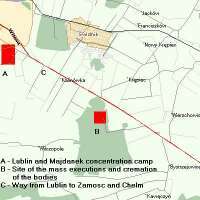 Better evidence is available concerning executions from 1942 and about the burning of the bodies of prisoners from KZ Majdanek who had either been gassed or died from other causes. The first and probably the biggest mass execution in 1942 was organised by Lublin's SS and SD on 21-22 April 1942, following the conclusion of the deportations from the Lublin ghetto to the Belzec death camp. The Jews who survived the deportations had to move from the big ghetto on Podzamcze to the small ghetto in the suburb of Majdan Tatarski, close to Majdanek. 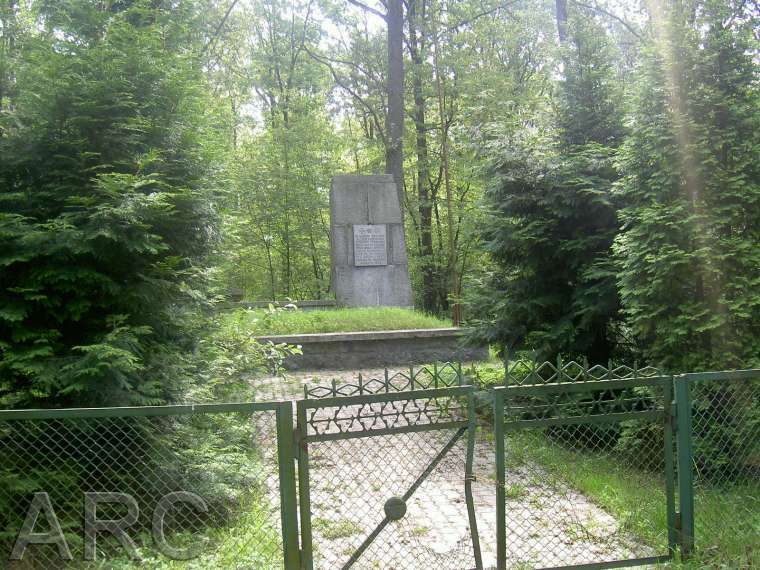 The last 7,000-8,000 Lublin Jews were confined in the closed ghetto of Majdan Tatarski. Among them was a large group of people who did not have official permission to stay there – the so-called "illegals". Only those who had a J-Ausweis could officially stay in Majdan Tatarski. The Judenrat was responsible for the preparation of a list of all Jews who had been resettled to the new ghetto and because the deportations had been stopped, it was presumed that everybody on the list would obtain permission to stay in Lublin. The day following the registration at Majdan Tatarski, the ghetto was surrounded by SS-men and "Hiwis" from Trawniki, with Hermann Worthoff in command, the man responsible for the deportations from the Lublin ghetto. A selection was organised in accordance with the list already prepared by the Judenrat. 2,500-3,000 Jews who did not possess a J-Ausweis were selected and taken to Majdanek. 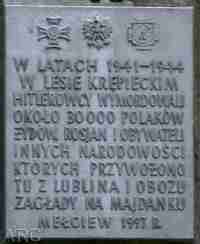 This entire group was imprisoned in two dirty barracks and the people then transported in batches by truck to Krepiec. The SS-men told the victims that there was big manor behind the forest where they could work in the fields. Many believed this until the moment when they stood on the path to the forest and started to hear the shots and screams of the first victims. 250 - 300 young men from the group were selected at Majdanek, and they were registered in the camp as prisoners. These young men survived this massacre. Apart from the selected young men, at very last moment a small group of women and children was given permission to leave Majdanek. The president of the Lublin Judenrat, Dr Marek Alten negotiated with Hermann Worthoff, who agreed to free several women together with their children. The women were mainly those whose husbands were employed by the Judenrat or who worked for the German administration. Among them was Anna Bach, the widow of a famous advocate from Lublin, Aron Bach, a member of the Lublin Judenrat who had died in 1940. She returned to Majdan Tatarski together with her daughter Diana. Knowing what had happened, they decided to escape from the ghetto and both survived the war. They had spent two days in Majdanek. They had seen people being transported in trucks from Majdanek and how, after some time, the trucks had returned to Majdanek containing no people, but just their clothes. "On 22 April 1942 I was at home and suddenly I noticed that six or seven trucks, full of children between 2 and 14 years of age arrived at the forest. The children were driven down to the pits and the Germans shot them. From the place of the murder the cries and screams of the children could be heard. In all this lasted from 2 a.m. until 6 a.m. The Germans were in helmets and blue uniforms. It is difficult for me to say from which formation they were. Visibility was difficult because at the beginning it was still dark. I observed the massacre from a distance of about 50 m. I don't know how many children were killed. They were transported by trucks, completely overcrowded. About 8 a.m. nine trucks full of Jews arrived at the forest. The area was surrounded by Lithuanian soldiers. I know this because people described them to me as Lithuanians. The Jews were driven down from the trucks and they were led to the same place where the children were murdered. Some of the Jews held their children in their arms. I observed the massacre from a distance of about 150 m. but from a different direction than before. Germans drove the Jews down to the pits. There were horrible screams. A group of six SS officers and Lithuanians shot into the Jews who were already in the pits. I'm sure that they were SS men because on their caps they had death's head insignia and on their sleeves the signs of SS. The execution lasted from 8 a.m. until 8 p.m. I observed these murders the entire time. I heard from people that a Jewess escaped from the mountain of bodies but that later, attempting to escape, she was shot in a field. The next day I went to the place of the executions and I noticed that the pits were covered partially by earth and partially by bushes. Legs, hands and heads stood out from the pits. The earth around the pits was covered in blood. I was there about 20 minutes." "(...) The transports consisted of 3-5 trucks. From every truck, maybe 30, maybe 50 people were unloaded. Among the prisoners were men, women and children of different age and even babies. I did not speak with these people. I heard only the fragments of conversations in Yiddish. The transports of these people and their unloading lasted several days. As I mentioned, these people were taken to the forest and they never they returned from the forest. The shots from machine guns and explosions from the grenades resounded, as well as the screams of the people. About 20 minutes elapsed between the taking of the group from the highway until the moment that the execution began. Those who were waiting at the entrance to the forest could hear the sound of the shots and the screams of the victims. These people were surrounded on all sides by soldiers in black uniforms. How many people were killed, I don`t know. 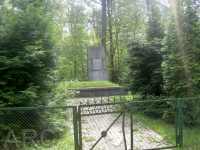 Entry to Krepiec forest was forbidden. Several people who wanted to see the place of the massacre were shot." Two or three days after the execution, Soviet POWs and several Slovakian Jews – prisoners of the Sonderkommando from Majdanek - were taken to the forest to bury the bodies of the murdered Lublin Jews. The belongings, clothes, money and valuables of the victims were transferred to Majdanek. Lublin Jews who were still in the small ghetto very quickly learned about the fate of their relatives and neighbours. Polish peasants, witnesses to the executions, informed the people in the ghetto what had happened in Krepiec. During the burying of the bodies in the forest, several members of the Sonderkommando had organised a revolt. A number of Soviet POWs attacked drunken Lithuanian guardsmen and several prisoners escaped. Their further fate is not known. The next wave of executions in the Krepiec forest took place in the late summer and autumn of 1942. A typhus epidemic broke out at that time in Majdanek. The SS doctors in the camp organised a general selection of prisoners who were sick or unable to work. It is difficult to say how many were selected. Most were Slovakian, Polish, Czech and German Jews. The selections took place at the end of August and throughout September 1942. Because there were not yet gas chambers at Majdanek (they were still under construction), the selected prisoners were loaded onto trucks and transported to Krepiec forest where SS-men executed them. It is not known how many people were killed in these executions but a minimal number could be estimated of several hundreds. The executions in Krepiec ceased in October 1942 after the gas chambers were completed at Majdanek. But by the beginning of 1943 the next terrible incidents were already taking place in the forest. Because the crematorium at Majdanek was too small, the Germans decided to use the forest as a place for the burning of the bodies of gassed Jews from the concentration camp. Primitive pyres were constructed from railroad tracks and virtually every day from January 1943 until the summer of that year, early each morning trucks containing corpses arrived in the forest. The whole terrain around Krepiec forest was full of the horrible stench of burning bodies and the fire and smoke rose above the trees, becoming visible from a great distance. "I remember also how I travelled to Lublin, in 1942 and 1943 and I saw maybe 12 trucks carrying human bodies covered by sheets. There was snow and wind that tore the sheets off and we saw the naked bodies, one on top of the other. There was much blood, fresh, red blood which was proof that these people had to have been alive not long before. 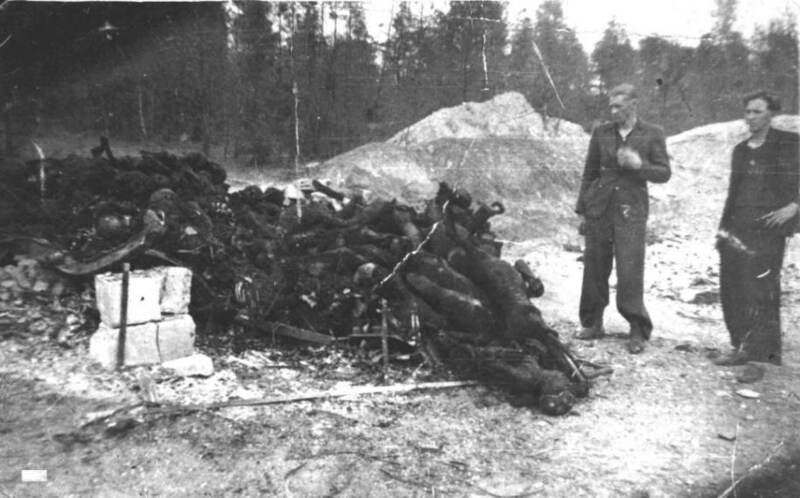 The bodies transported to the forest in Krepiec were burned by the Germans on pyres specially prepared from railways. My uncle who was a forester, Adam Nowak, lived in Krepiec and guarded the forest in which Germans burned the bodies. He told me one time "Come, so you will see what the Germans have done there and how they burn the bodies." I went once with my uncle and I saw rail tracks at a distance about 0.5 m. from each other. The railways comprised something like a grate. Under each grate the traces of burning were visible with a lot of ashes and fragments of hands and legs that had not been totally burnt. I did not look at it in great detail because I was frightened of this place and I did not want to see it any more." The burning of the bodies of the Majdanek victims lasted until autumn 1943 when a new, bigger crematorium was built in the camp. The sites of the executions and cremations were not totally destroyed. Even in 1946 they remained visible in the forest. 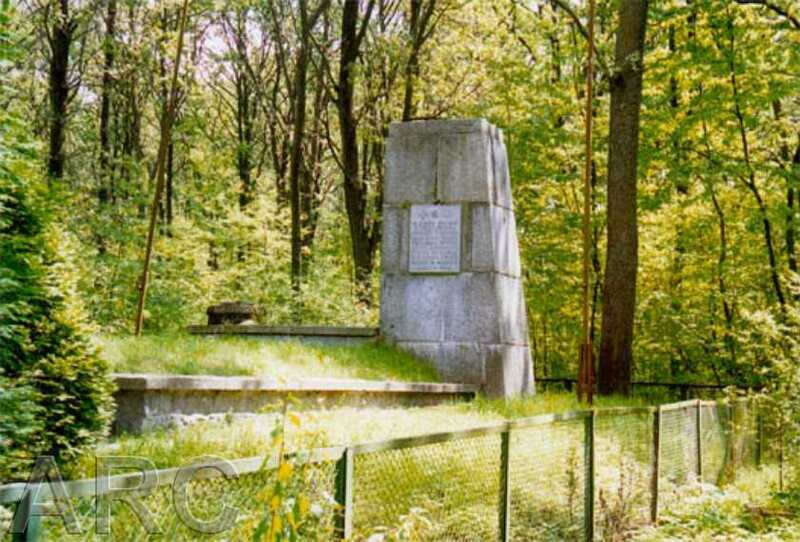 In 1970 a memorial was built in the Krepiec forest. On the memorial is the statement that there were about 30,000 people killed or burned there, but in fact nobody knows for certain how many victims were murdered or cremated in the forest's mass graves. Institute of National Rememberance in Lublin, Collection of the Regional Commission for the Investigation of Nazi Crimes in Lublin: Investigation about the Crimes in Krepiec forest 1966-1967. Archive of Majdanek State Museum in Lublin: Documents of the Polish-Soviet Commission for the Investigation of German Crimes at Majdanek, 1944, collection of testimonies and memoirs by survivors. Dobrowolski W.: Piec lat na muszce. Wspomnienia wieznia Majdanka. Lublin 1994. Kuwalek R.: Zbrodnie w lesie krepieckim w swietle zeznan swiadkow (Crimes in Krepiec Forest in the Light of Statement by Witnesses). "Zeszyty Majdanka”, Vol. XXI (2001). Listy z Majdanka (Letters from Majdanek). Red. Z. Wójcikowska. Lublin 1962.